Ceal Said: #33 - Wowzers this tag is GORGEOUS! with all the details not to mention her coloring is Ah-mazing! Dangina Said: - #33 Distressed Miss- Such a super sweet tag. Love the coloring, glitter and die cuts. Her charm was the perfect accent to such a beautiful tag. Ivonne Said: #33 - Gorgeous tag! 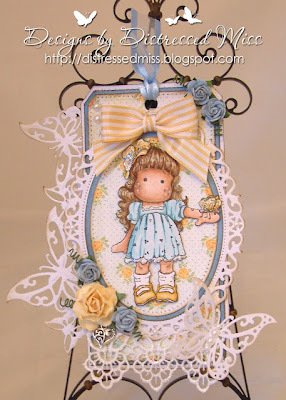 Looove the color combo, the gorgeous ribbons and dies. The coloring is AMAZING!! The tag is just stunning! 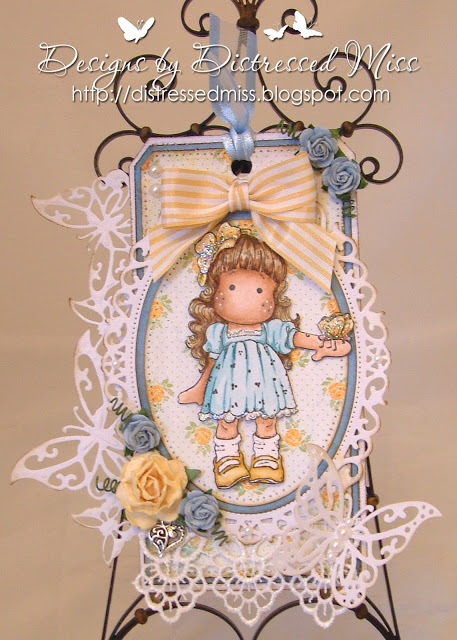 Athina Said: I just love the colors and the tag is so delicate! Absolutely gorgeous! Shanna Said: Hazel went above and beyond with this creation! Holly Said: #14 Anja - So super cute!!!! I love the image and the pacifyer charm is so perfect. Her card design and details made me swoon. Holly Said: - #28 Liselot - Are you kidding me? 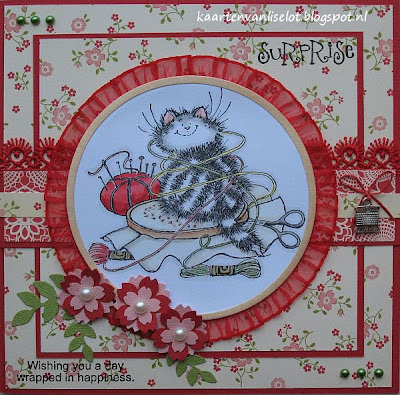 This is total cuteness with the thimble and the sewing mess cat image. I love the colors and the great design. I do have to say I was so impressed with how everyone used their charms and since I rarely use them, I was so wowed by everyone's creations. were fabulous, love the use of all the dies. Laura Said: I LOVE how Sanja colored this cutie up and all the laters and details she created with her dies! The colors are beautiful too! Just loved everything about it! Marcy Said: #5 Karen O Her card was so adorable with such pretty details. I loved her crown charm! Laura Says: Wow! 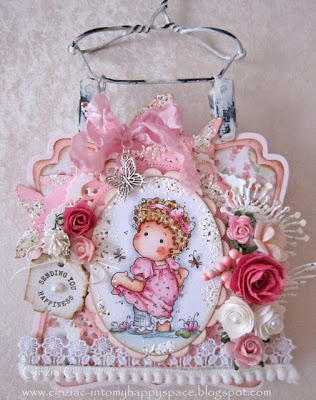 This is so beautiful and girly! I love all the details and layers of different die cuts! The coloring is stunning too! Just a gorgeous creation! OMW!! Thank you so much for all your amazing comments. I am over the moon and very proud to display your blinkie. Congrats to everyone else as there were so many stunning entries. You ladies are the sweetest!!! Thank you Lydia for picking my card!!! Love how your DT selects one each... such a nice way to have more winners! 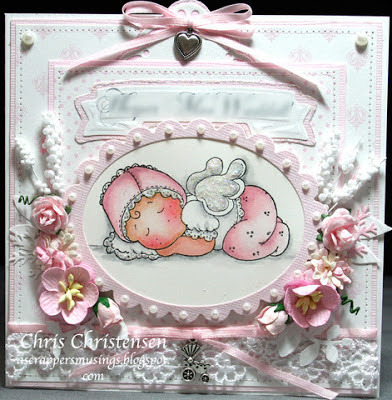 Thank you so much Shanna for choosing my card as your favourite! Thank you soooo much Laura for choosing my card as your favourite!I'm very very happy!! And thanks for the great challenges and awesome DT inspirations!